I saw Star Trek Beyond on Friday. I’ve got to say, I’ve been somewhat amblivient about the reboot of the series. It often felt like the first two movies were riding the coat-tails of the original ones. With the latest movie, the rebooted series finally seems to have come into its own. Star Trek Beyond still has the playfulness of the previous movies and the ability to be self-referential without taking things to parody. The continued adventures of the Enterprise and her crew are exciting and in this movie they finally got into the purpose: exploration. Star Trek Beyond managed to capture that elusive sense of wonder that is what gives Star Trek its broad appeal. This isn’t a long time ago in a galaxy far far away. This is a vision of our future and ideals that we can all aspire to: seeing strange new worlds and discovering strange new civilizations. Yes, there’s a dastardly threat and James T Kirk and friends have to foil it, but they take that in stride. They don’t bemoan things or grow cynical, they take it in stride and view this as an obstacle to overcome so that they can go back to what their normal mission is. The characters are vibrant, the story is acceptable, and the science at least doesn’t give me a headache. As far as science fiction, it’s a great movie. 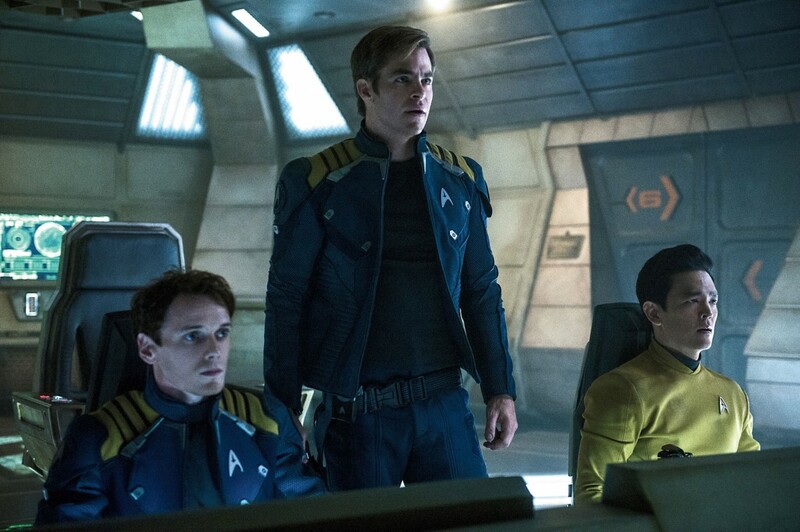 For Star Trek, I’d rate it as better than any of the other recent movies, better, in fact, than any since the original Kirk (and possibly better than a few of those, too). It’s a modern movie for a modern audience, so drawing comparisons beyond that is pretty much impossible. I enjoyed Star Trek Beyond from the beginning to end and while I didn’t leave the movie theater wanting more, I did linger at the end to see if they’d slipped something into the credits like Marvel does (they did, but it’s simply a couple of acknowledgments for Leonard Nemoy and Anton Yelchin, both of which I appreciated). I’d recommend seeing it in theaters. My only complaint there would be the shaky action scenes which made following some of the action early on in the movie a little difficult.